As the gorgeous color of this October fades, I realize just how cyclic life is and how much a beloved dog can leave us way too soon. 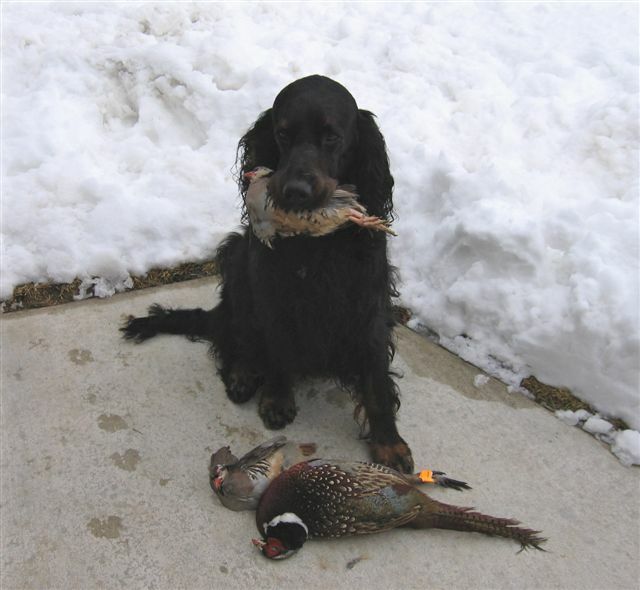 On Saturday, October 9, 2010, as I picked up the phone, I half-expected to hear Gwen Pfeil tell me that Ceilidh got her first Master Hunter leg at a hunt test. I did not expect to hear that MacE was gone. He left this world at what I would guess would be his favorite time of year; it is the autumn hunting season. 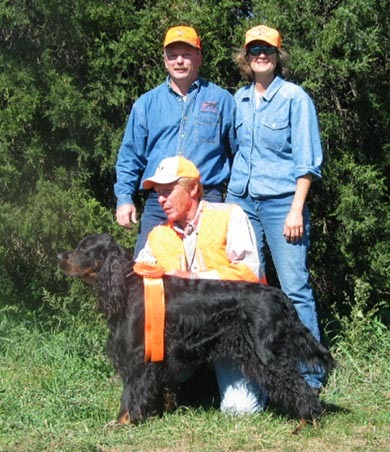 Amidst the blazing oranges, yellows, crimsons and gold, he joined his GSP friend, Fritz, where everyday could be a hunting day and everyday could be autumn, where the birds were aplenty. MacE was that VERY special boy. He was out of my Fire and Asti. Greg and I “reserved” him for Ron and Gwen. MacE was little blue boy and was such a thinker. He would just sit and survey his territory. On that cold and snowy day in April (at Fond du Lac), he went to live with two of the most wonderful people that a breeder could ever wish for. They became dear friends. They helped me through many stages of life. They co-bred a litter with me. They helped me in ways that they may not even know. They loved MacE and learned so much with him and shared it with all of us. 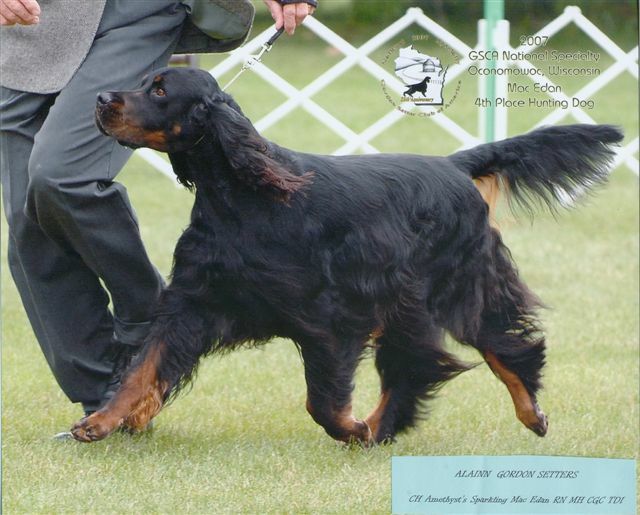 Sleep well, my first-bred MH, my first GSCA News Cover Dog and my friend. I will always love you MacE. Your mom, Asti, misses you, too. And Ron and Gwen…..you are the best. Hugs!! May you always have fond memories of this wonderful dog! !